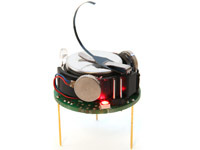 Kilobot is a small mobile robot that can operate in groups of dozens to more than 1,000 units. 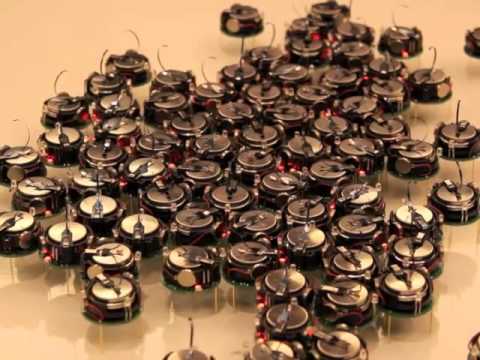 The robots mimic how ants and other insects coordinate their swarm behaviors—but they won't bite you. 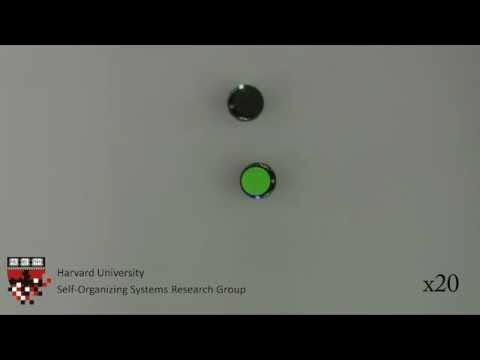 These bots help one another out. A swarm of Kilobots up close. 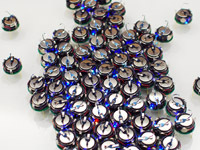 In early 2012, Harvard researchers completed the assembly of a group of 1,000 Kilobots. 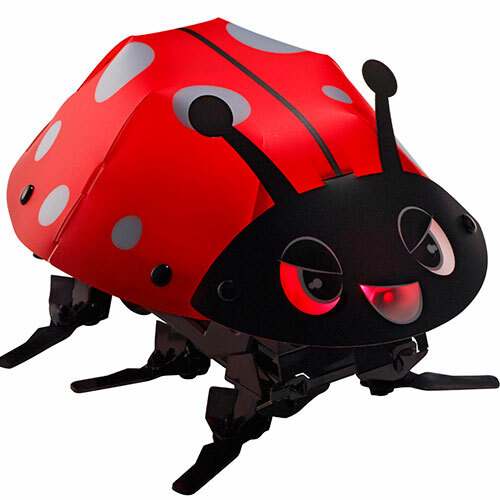 The name "Kilobot" is a reference to a collective of a thousand bots (and not to the idea of killer robots). Modular, low-cost design. 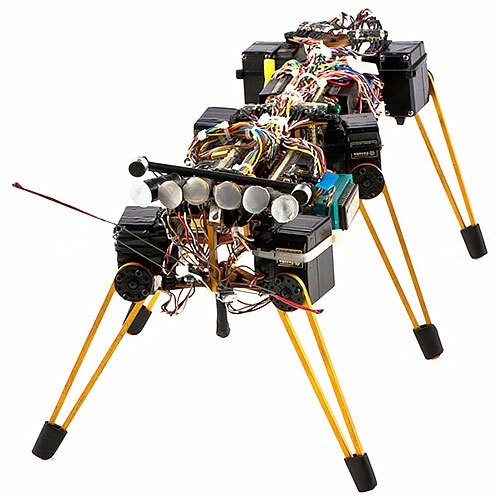 Able to measure distances to other robots and ambient light. 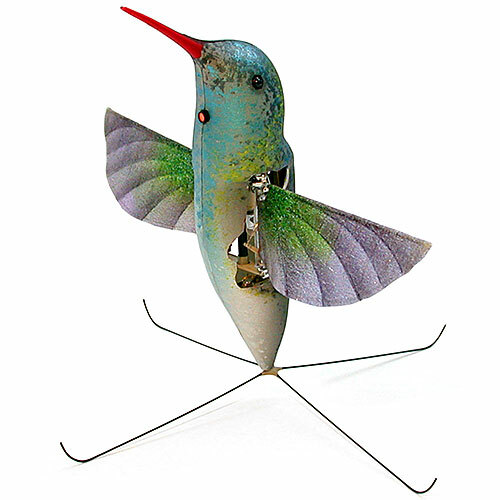 Mobile on flat surfaces using two vibration motors. 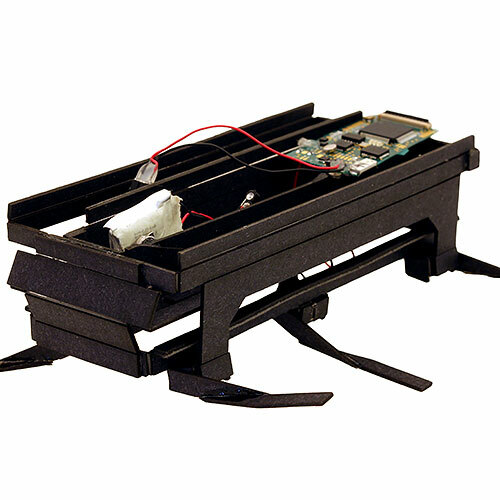 Infrared sensor (for communicating and measuring distance to other robots) and light sensor (for measuring amount of ambient light on robot). 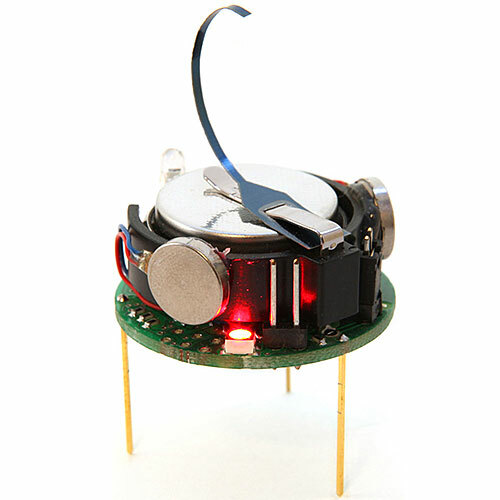 Custom embedded software, written in C.
Body of robot is a printed circuit board with three metal pins for legs. 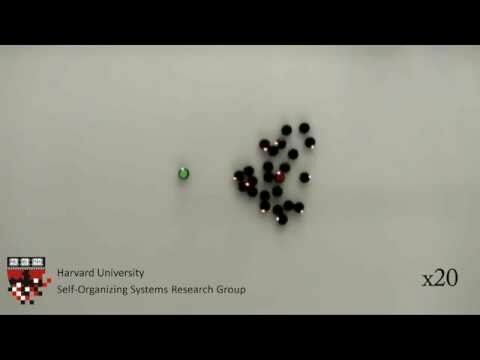 The Kilobot was created by researchers at Harvard's Self-Organizing Systems Research Group, led by engineering professor Radhika Nagpal. Her team includes Michael Rubenstein, a postdoctoral fellow, and Christian Ahler, a fellow of Harvard's School of Engineering and Applied Sciences and the Wyss Institute. 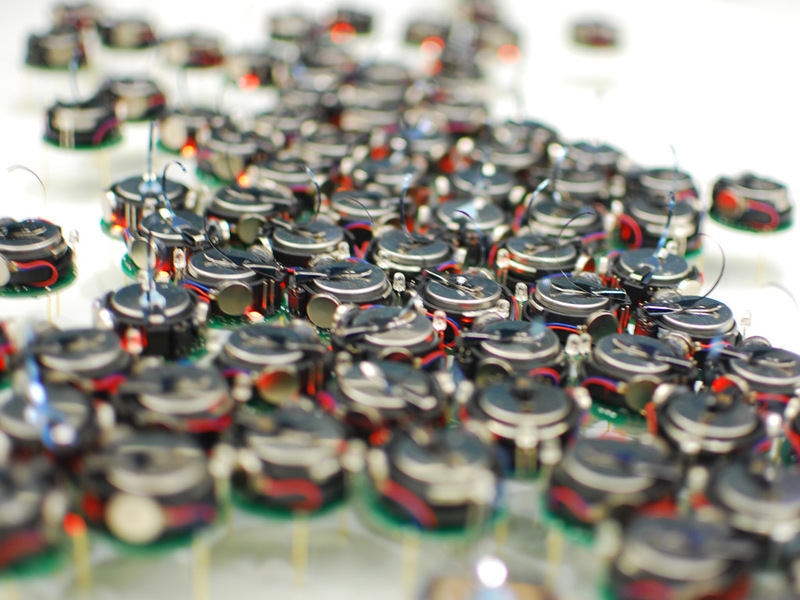 In designing the robots, the researchers looked for inspiration from social insects such as ants and bees. 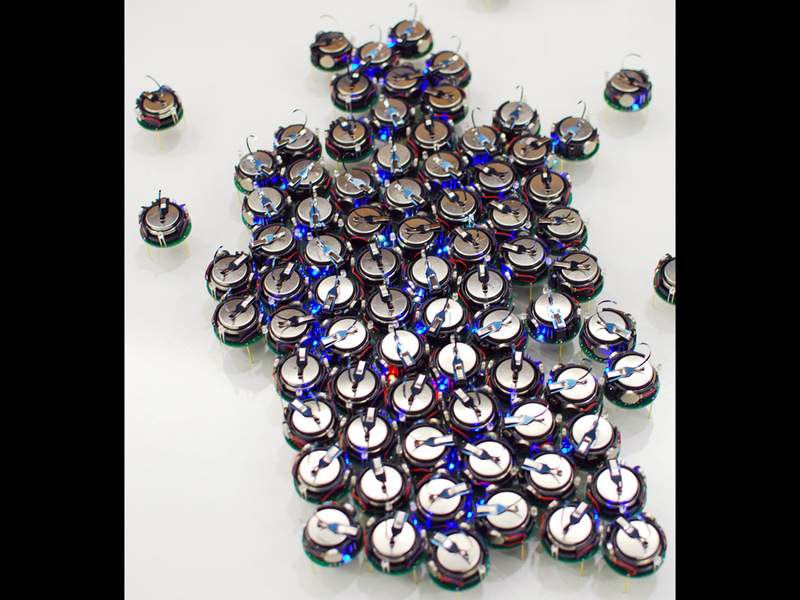 The goal is to use swarms of Kilobots as a test bed for studying collective behavior in natural and artificial systems.